Hello! I have a few new things, so here's the first of a few things I'll be talking about in the upcoming days. I'm completely done exams/my second year of college! You can expect to hear from me more often as I have more time to spare and hopefully more money to spend as I work through the summer months. 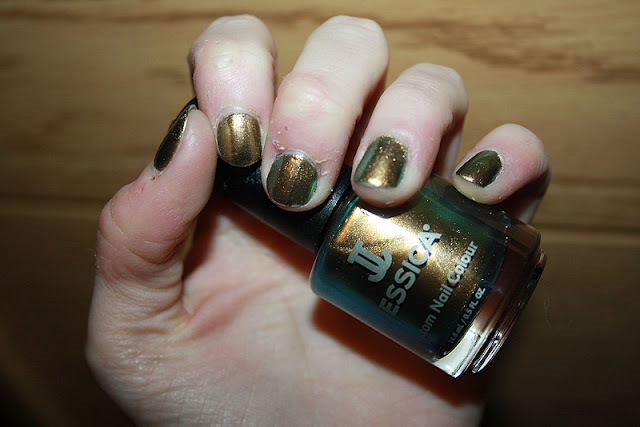 Anyways, first up is Jessica Iridescent Eye. I picked this up randomly and thought it looked kind of nice (reminded me of the shiny rainbow you see in gasoline), but I wasn't crazy about it. I just can't leave a store without a new nail polish, so mine it was. Turns out I am absolutely in LOVE with this and I never want to wear anything else. I can't think of another nail colour I've ever liked this much. I've spent the last day just staring at my fingers and moving them in the light. It's kind of insane. This is two coats, but I definitely think I could have done with one. It's definitely one you want to use a top coat on. Some polishes can get away without one on me, but not Iridescent Eye. 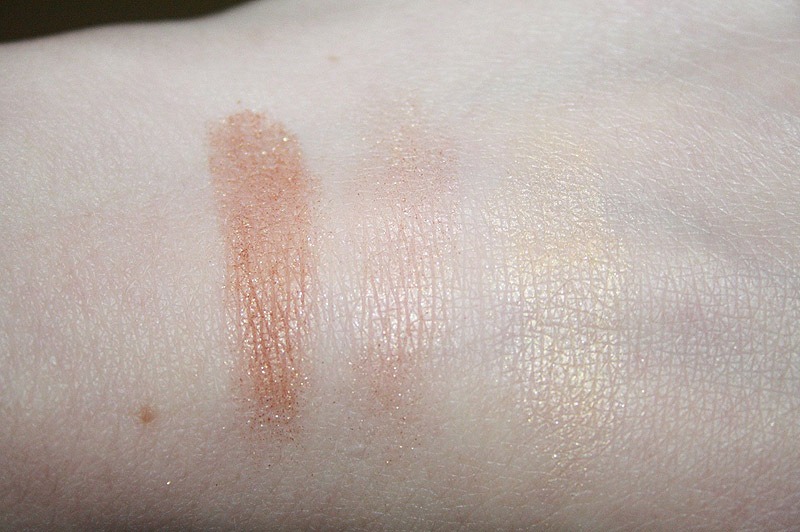 Some bloggers have compared it to Chanel Peridot and deemed it a dupe, while some others disagree. I don't think it's a question that they're very, very close. I say grab it if you don't want to spend the dough on Chanel. 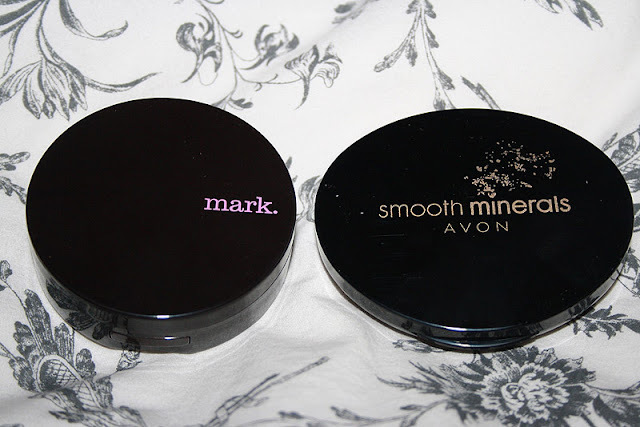 Next are Mark glowdacious illuminating powder in Shimmed Up and Avon Smooth Minerals Pressed Foundation in Soft Ivory. I've never used a powder foundation before (I stick to liquid and cream-to-powder), so I thought I'd give it a shot. 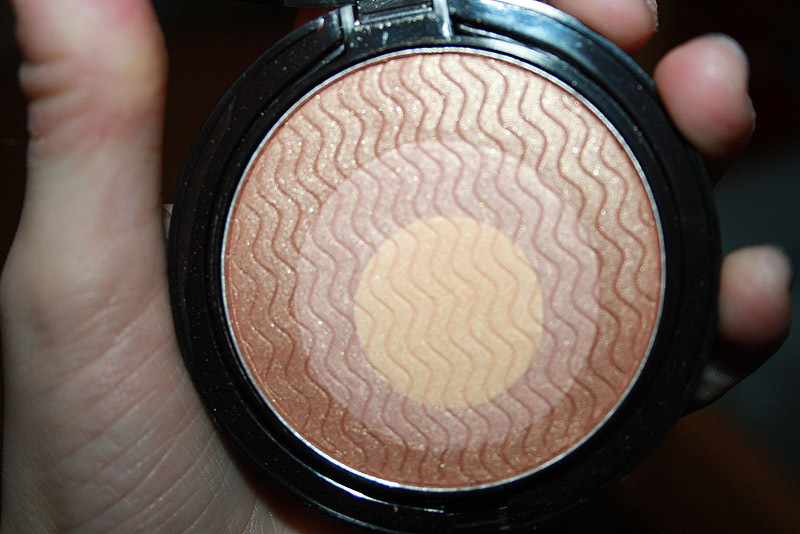 I seem to be collecting blushes and bronzers and various things, so I ordered Shimmied Up just to see what it was like. It looks like it's stark white in the picture, but I don't feel like it's that light in person. I admit I was surprised at first, though. The old Smooth Minerals liquid foundation I had was their lightest shade and it was borderline orange-ish in some lighting. I didn't imagine their lightest of anything would actually be this pale. I'm happy, though. 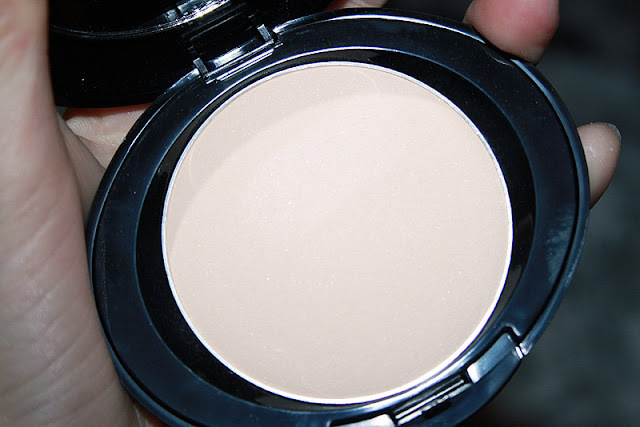 It blends well, it's really soft, and as far as I can tell it's matte. 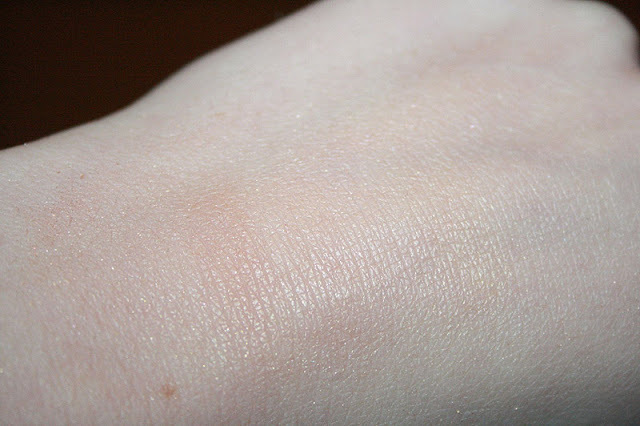 There may be some shimmer, but it isn't noticeable. I used this today and loved it! I like this. It's really shimmery and glowy, which I love. I'm worried it's a little too bronze/dark for me, but maybe I'm crazy. It doesn't look bad in pictures, so sometimes I think it's just the lighting of my apartment. 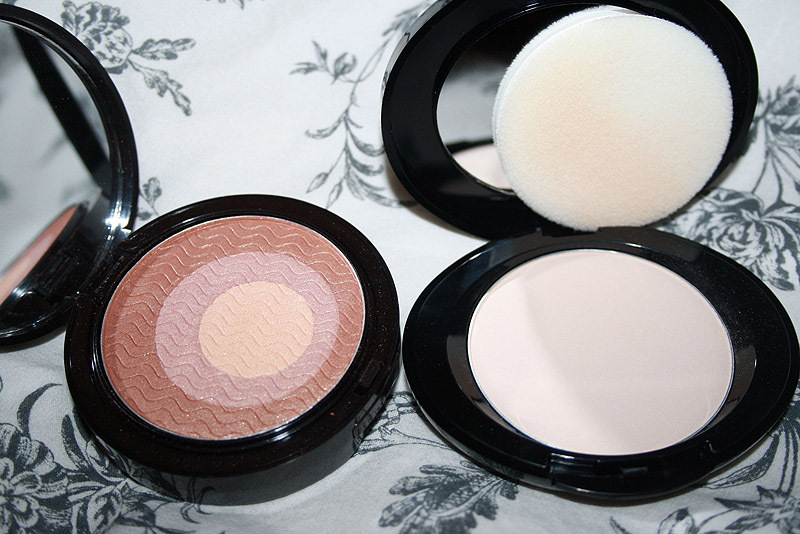 There are two other shades, and I actually don't even know how I decided which one to get. I think I read one of the blurbs about, "what this model is wearing," and she was pale and blonde and had on this powder so I went with that. Loads of people complain about the shimmer, but like I said, I'm a fan of it. The compact comes with a weird little flat brush, but it seems kind of useless so I just use a different brush of my own. So far with new things, it's been a success. I also bought the new Mark "Borrowed from the Boys" watch (I need to take links out and adjust it, it's huge), another nail colour, and an eyeliner. There's also more new Avon things I've ordered that I don't have quite yet, but I'm very excited for!